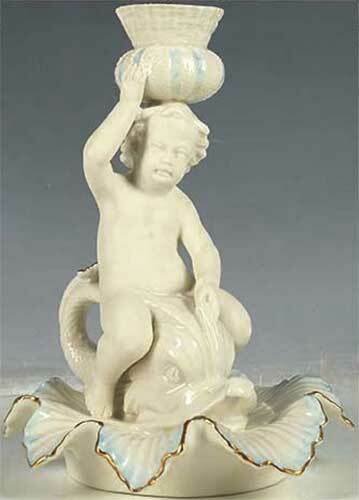 The Belleek dolphin candle stick is fashioned in the style know as cherub figurines that were popular in the 1860s. Uncovered in Belleek’s master mould archive, this piece is numbered "125," indicating that is was designed around 1868. It is listed as one of the many pieces displayed at the Paris Exhibition in 1900. By the 1920s it had been discontinued, and remained in the archives for the following 60 years, making a brief appearance in the early 1980s. 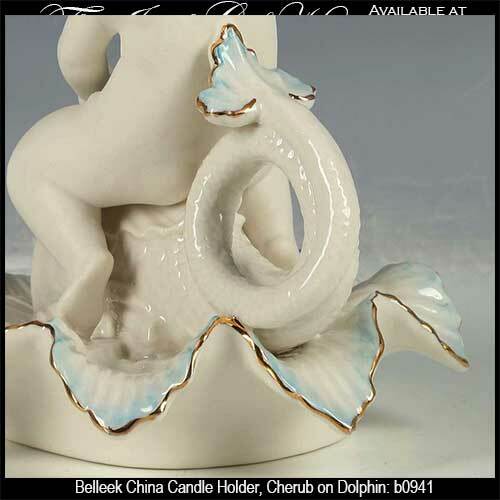 The Belleek dolphin candle holder features a bisque finish cherub along with blue and gold accenting. 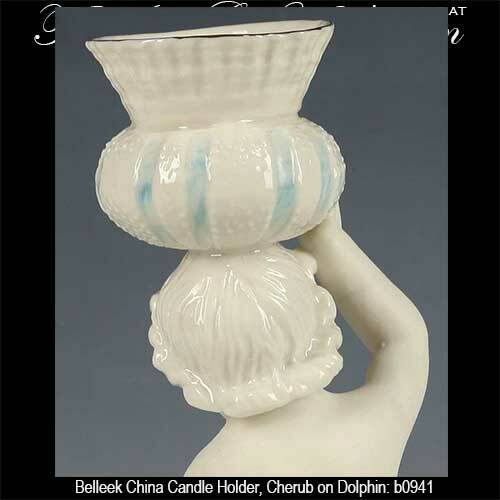 This Belleek candlestick holder is made of fine china and stands 8" tall. 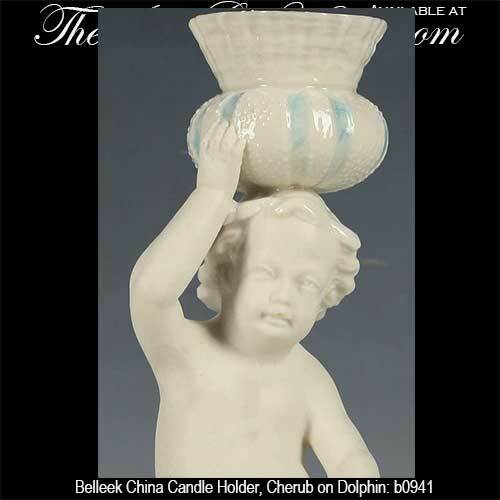 The Belleek China candle holder is a number piece that is limited to 400 sculptures. 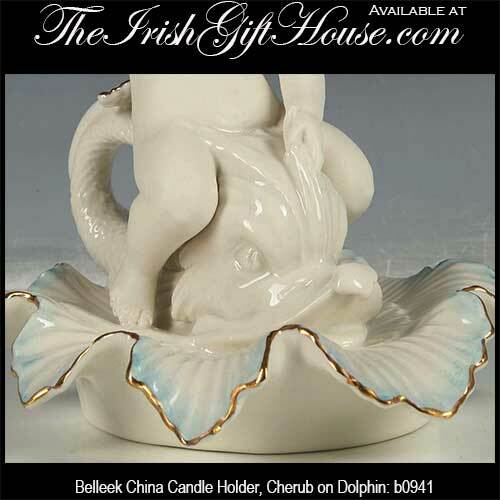 This Irish candle holder is handmade and hand painted in Belleek, Ireland and it is received gift boxed.